German carmakers Daimler, BMW and Volkswagen, and some of their major suppliers are in talks about developing a joint system for autonomous driving, manager magazine reported on Wednesday, citing company sources. 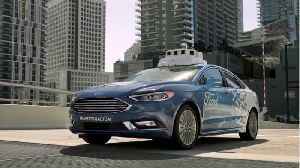 Ford and German automaker Volkswagen are reportedly close to finalizing a new joint venture to develop self-driving vehicles and technologies. According to Business Insider, the deal will build off a..